Sedona Wedding Studio Welcomes Jackpot Ranch. A wedding in Sedona does not actually have to be a wedding “in” Sedona. There are many great options around Sedona that suite most every taste and budget. Our newest member at The Sedona Wedding Studio is certainly destined to be one of our most popular venues. Jackpot Ranch has it all. The ranch boasts a modern bunkhouse with 14 bedrooms and 4 baths along with a state-of-the-art kitchen. There are playgrounds, fountains, paddle boats, various ceremony sites and most of all, privacy and plenty of room. 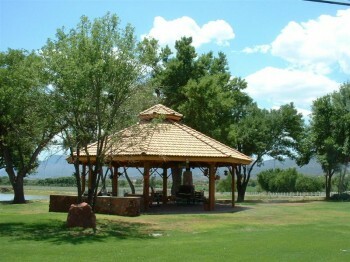 Jackpot Ranch can host larger events and weddings where most Sedona venues can only accommodate up to 150. Jackpot Ranch is a privately owned 72 acre ranch situated at the edge of the town of Camp Verde, Arizona. It is a working ranch that features numerous recreational opportunities along with its’ Verde River frontage, three ponds, irrigated pastures, and facilities unequalled in Central Arizona. The property may be reached by a short one-hour car trip from Phoenix on northbound I-17. Jackpot Ranch is located just a short distance from the beautiful red rocks of Sedona and the cool mountain country of Flagstaff and Prescott. Visit their website to learn the numerous recreation opportunities available at the ranch as well as a list of area attractions and things to do. The ranch is ideally suited to host equestrian events, corporate functions and spiritual retreats. While at the same time, it is available for individual horse travelers and for those looking for a really different vacation destination. 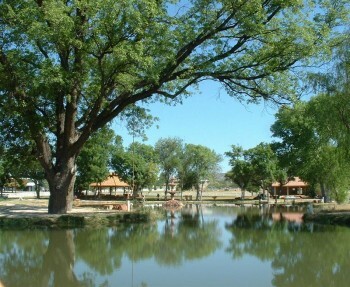 Those staying at the ranch have the unique opportunity of almost unlimited access to the entire ranch property. 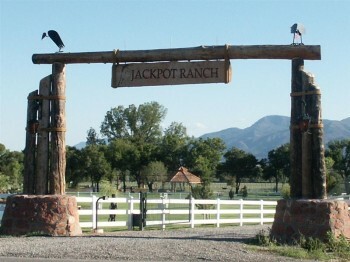 Be sure to visit the Jackpot Ranch website for many more images and detailed amenities. There is so much to do and see at this incredible property. It is perfect for weddings, corporate events and retreats an must be seen in person to appreciate the full scope of this wonderful property. The Sedona Wedding Studio welcomes our friends at Jackpot Ranch and looks forward to their Grand Opening celebrations on May 22nd.